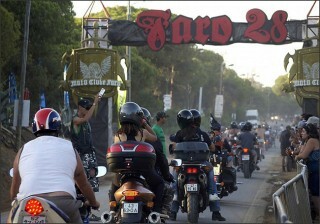 Indian Motorcycle only launched in Portugal this year, which means it’s the brand’s first time at the incredible Faro Motorcycle Rally. 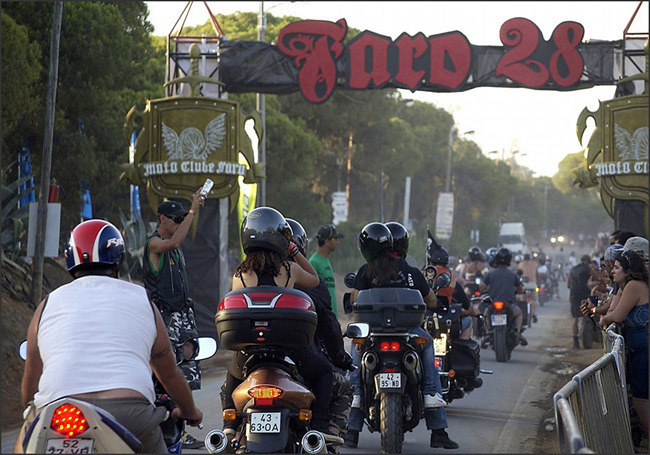 Now in its 34th year, the Faro Motorcycle Rally (AKA Faro 34) is the biggest biker gathering in Southern Europe and draws in around 20,000 bikers from Thursday right through to Sunday night. 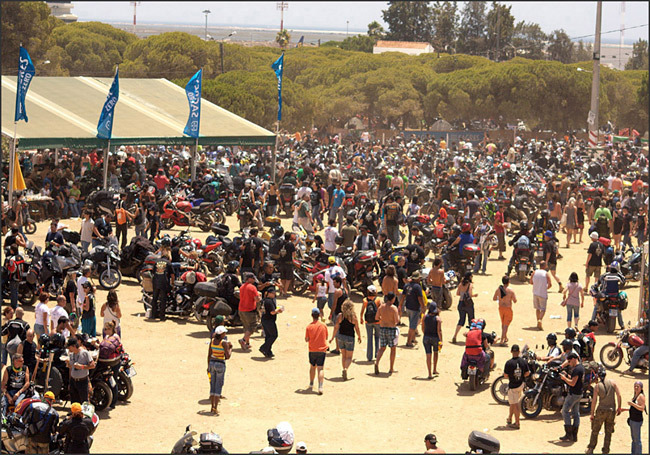 “The atmosphere is the perfect mix of hospitality, good music, terrific weather and incredible views for riders passing through the Algarve region in the South of Portugal,” explains Indian Motorcycle marketing specialist, Miriam Torrens, who is manning the Indian Motorcycle booth over the four-day-long rally. 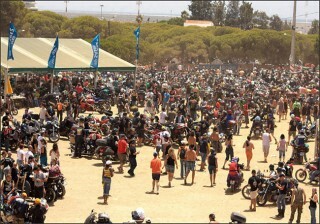 The entry price is 45 Euros for all four days and includes coupons for free meals. 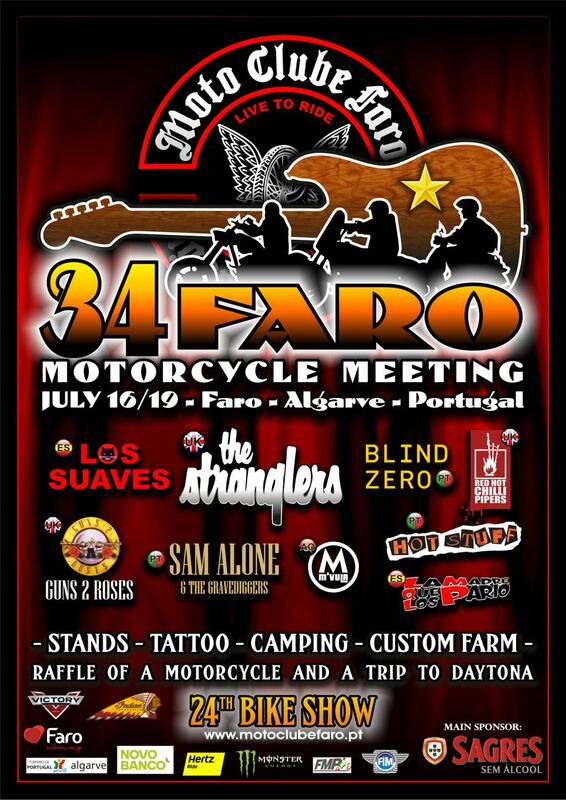 Attendees get an official goody bag containing a T-shirt, rally badge, sticker and draw tickets to win a new motorcycle and a week in Daytona. 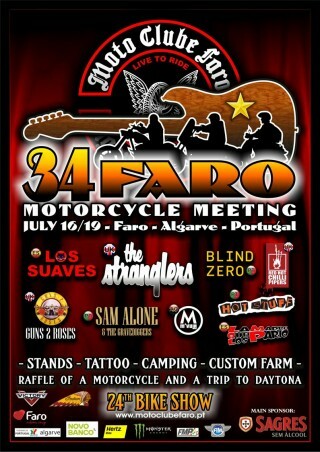 19:00 Welcome to Indian Motorcycle riders on our booth. Cold beer served.